PolyDock Products of New Jersey - M&M Dock King Inc. Check out our complete line of PolyDock modular floating dock systems and learn about our floating dock installation and service programs. There's a reason we are the number one PolyDock floating dock dealer in New Jersey! 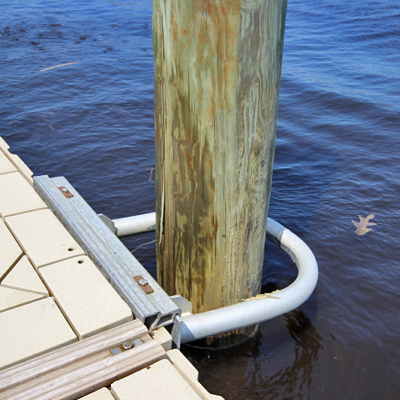 M&M Dock King, Inc. offers a wide range of PolyDock and ShorePort anchorage options to ensure your dock system and drive-on jetski platform is anchored properly. We stock a wide selection of dock and port anchorage parts, so give us a call to let us know what you need. A ShorePort Drive on Jet Ski port keeps your waverunner clean and dry when your not out riding it. 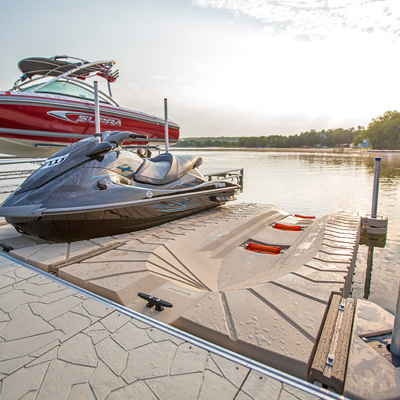 Let us show you how easy it is to protect your PWC with our attractive, and affordable ShorePort Drive-on personal watercraft storage platforms. We deliver and install! We offer a wide range of gangways and gangway hinge options to fit all of our PolyDock and ShorePort products and nearly any other style of dock system. 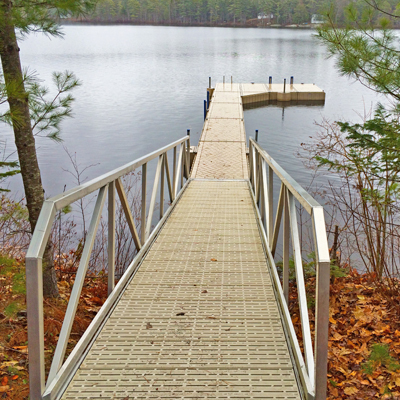 Our PolyDock Products gangways can attach to your plastic modular dock, and they fit wood, aluminum and galvanized steel dock systems. 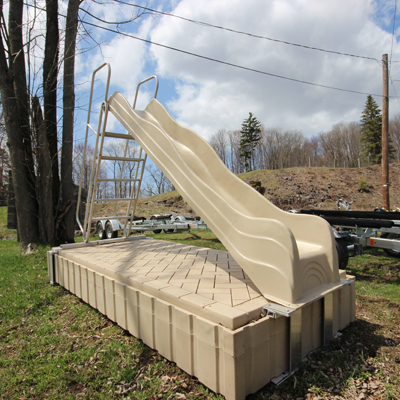 We offer the complete line of PolyDock Products accessories including swim rafts, waterslides, dock furniture, and of course, dock benches, dock bumpers, and dock ladders. We're conveniently located and deliver throughout New Jersey. Give us a call to learn more! Our assortment of dock ramps from PolyDock products feature easy to install, durable construction with our choice of decking options. 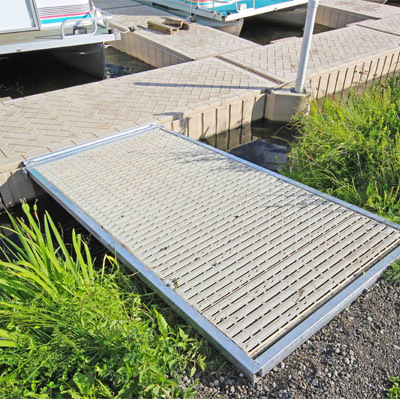 We stock a wide range of ramps in various sizes, so give us a call or send us an email if you need a dock ramp for your fixed or floating dock system. At M&M Dock King, we want to serve you with the best products, at the best prices and we always do what we say we will do. 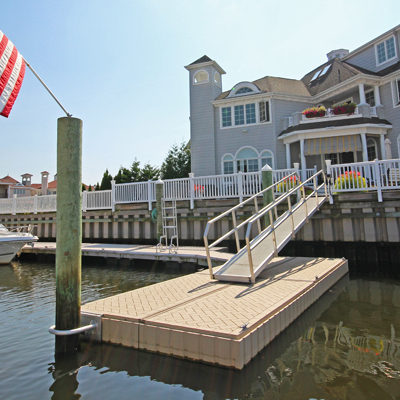 We carry premium, PolyDock Products' modular floating docks, and durable ShorePort Drive-On PWC ports for our customers in New Jersey, New York, Long Island, South Jersey, and nearly anywhere in between. The look of PolyDock floating docks is unmatched by any other floating dock on the market, and the superior stability is one of the many reasons our customers choose PolyDock over other brands of floating dock. If you'd like to learn more about our PolyDock floating docks or ShorePort Drive-on lifts, or if you need help finding dock accessories or selecting a ramp or gangway, please contact us, we'd love to make sure you get the best products at the best prices!